Do customers act on ecosystems, choosing to focus within a brand’s family for their products and services? How many technology users are exclusive, or at least favor one over another? 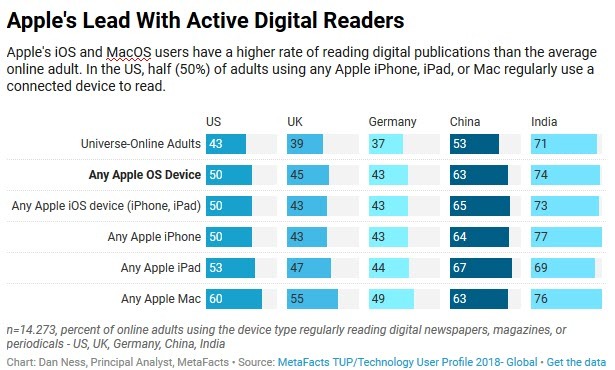 Only one in eight (12%) of online adults around the world are truly exclusive, using products and services from only one of either Apple, Google, or Microsoft. 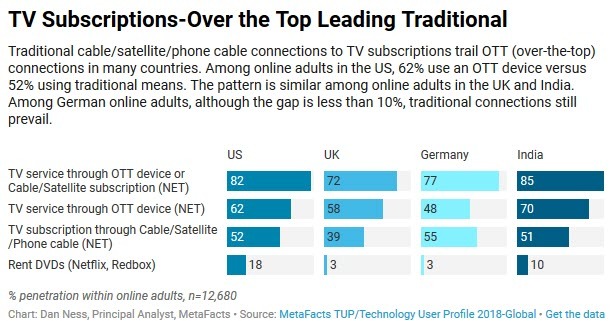 This is based on the most recent wave of the MetaFacts TUP survey (Technology User Profile 2018), conducted among 14,273 online adults. 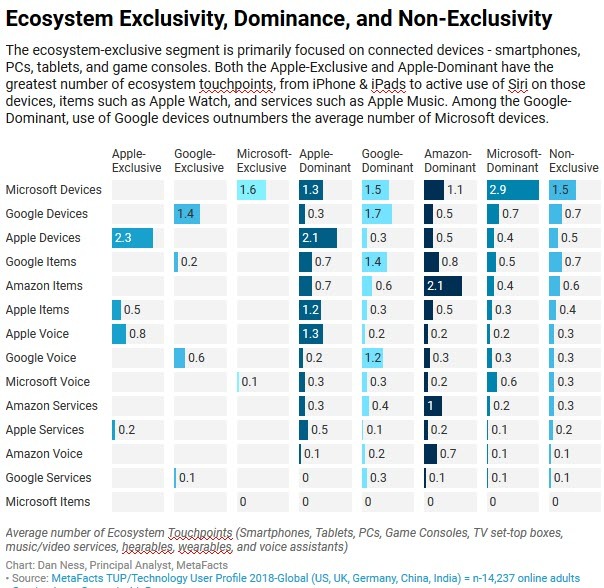 The largest group of users is between exclusivity and non-exclusivity, slightly favoring one ecosystem while still actively using at least one other. 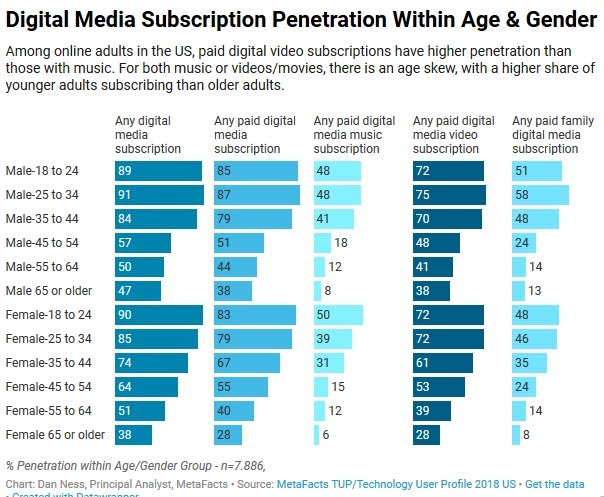 Over six in ten (62%) of online adults are in these segments. The Google-Dominant segment is on par with the Apple-Dominant segment, each representing one in five online adults. Apple’s most-focused are more broadly invested in Apple’s ecosystem than are Google’s or Microsoft’s best. 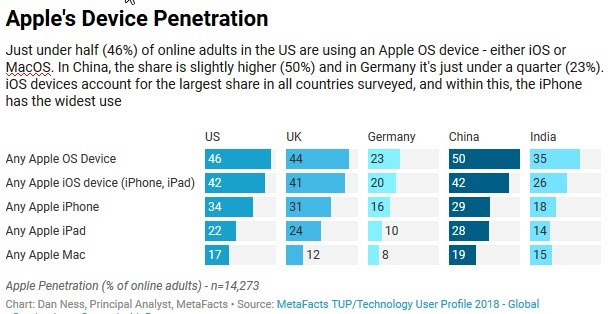 Most of Apple’s strength is supported by their connected devices – iPhones, iPads, and Macs to a lesser extent. 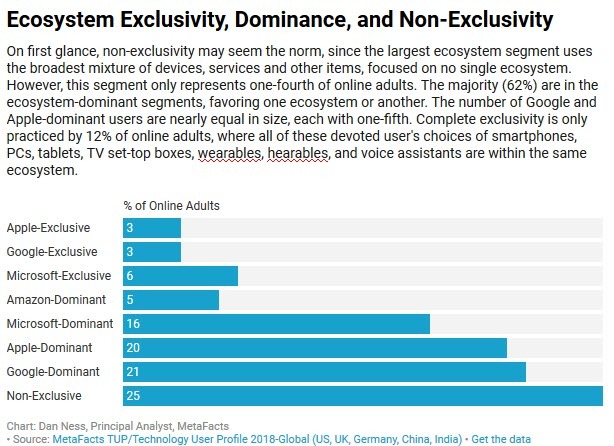 The Apple-Exclusive (3% of online adults) use an average of 2.3 connected devices, and among the Apple-Dominant, this average is 2.1 devices. Use of voice assistant Apple Siri is the second-most component among the Apple-Exclusive, and also tied for second place among the Apple-Dominant. The Apple-Dominant are equally active with Microsoft devices, primarily Windows PCs. The Google-Exclusive (3% of online adults) only use 1.4 Google devices on average, primarily an Android smartphone. Android tablets and Chromebooks aren’t as widely used among the Google-Exclusive as are Apple’s devices among the Apple-Exclusive. The Microsoft-Exclusive (6% of online adults) show a pattern of entrenchment. Only Microsoft devices are in use besides some nominal use of Microsoft Cortana or Xbox consoles. The Microsoft-Dominant are a bit more exploratory, including a small number of Google devices and some use of Microsoft Cortana. Each ecosystem has appealed to very different groups of people, especially with respect to life stage. 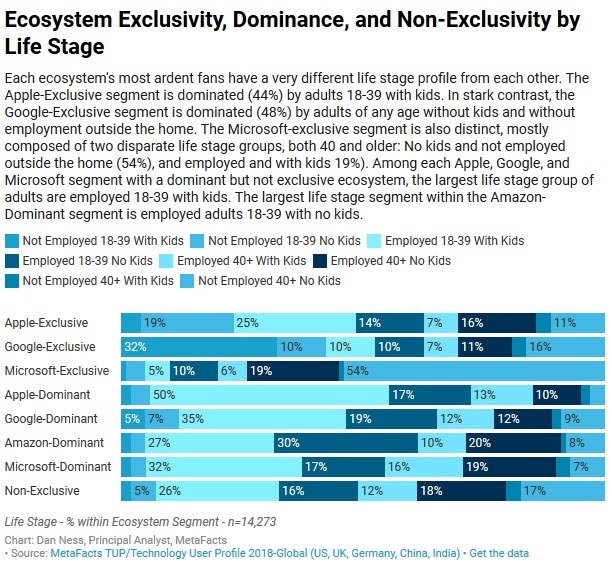 While Apple’s most-exclusive users have a higher share (44%) of younger adults with children, nearly half (48%) of Google’s most-exclusive users are not employed outside the home and don’t have children. 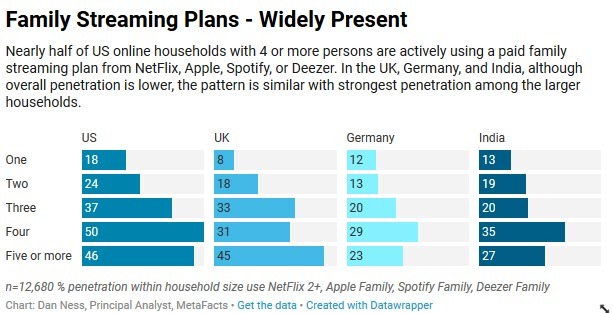 This bodes well for Apple’s services and devices that bring extra value to families, such as Apple’s Family Sharing feature, which enables a way to share music, books, cloud storage and other Apple services between multiple users. The Microsoft-Exclusive segment is singular, with nearly a third (32%) of its members being in a one-person household. 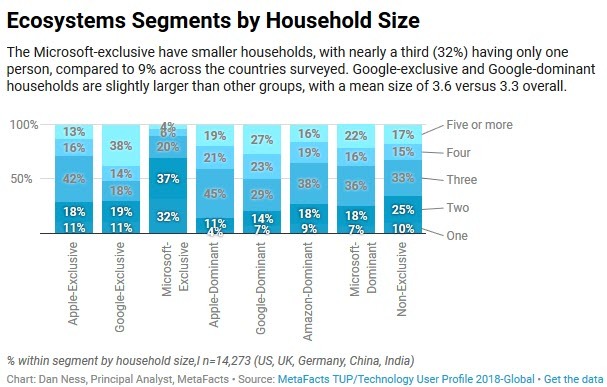 The Apple and Google segments are relatively similar to each other, although Google’s have slightly more household members. It’s increasingly a multi-device, multi-person world. Sharing between one’s devices and platforms will continue to grow as a user need, as will sharing with others between disparate ecosystems. Although companies may aim for exclusivity, interoperability is more important. It involves the largest part of the market. Exclusive users will remain a small group of loyal fans willing and able to narrow their choices. Although the non-exclusive make up a sizable segment, the future will be with the ecosystem-dominant. We drew on the TUP data to identify a broad range of offerings within Apple, Google, Microsoft, and Amazon ecosystems. The segmentation approach was a simple categorization based on the accumulation of the above attributes. Each device, service, item or voice assistant was given an equal weight. The analysis in this TUPdate is based on results drawn from the most-recent wave of TUP (Technology User Profile), the 2018 edition which is TUP’s 36th continuous wave. This survey-based study details the use of technology products by a carefully-selected and weighted set of respondents drawn to represent online adults. This specific wave spanned the US, UK, Germany, India, and China. In the TUP survey, we identified the connected devices being actively used, from those acquired with home/personal funds to those that are owned by employers, schools, or others. From these, we selected adults who are using at least one home PC. Home PCs users are very active, yet they don’t only stay at home on their computers. They use a wide variety of other connected devices. The majority of home PC users (82% to 95%) also use a mobile phone. 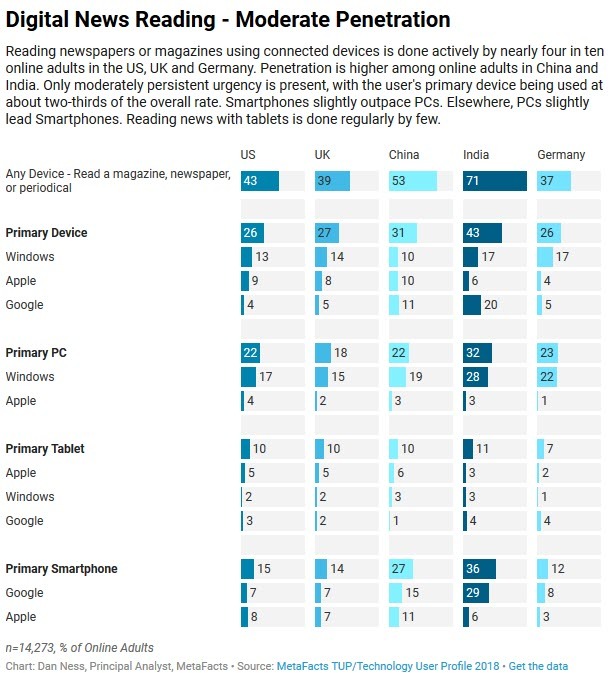 Of these, smartphones dominate. It may some surprise those steeped in technology that basic cell phones/feature phones persist in the hands of many – from 9% to 28% of home PC users. These findings are based on results from our TUP/Technology User Profile 2018 survey, including 11,294 online adult home PC users. Home PC users spend more time with their home PCs than with other devices. In China, smartphone use us nearly at parity. Among home PC users in China, weekly hours using a PC are 33.2, only slightly more than the 32.5-hour average for smartphone use. 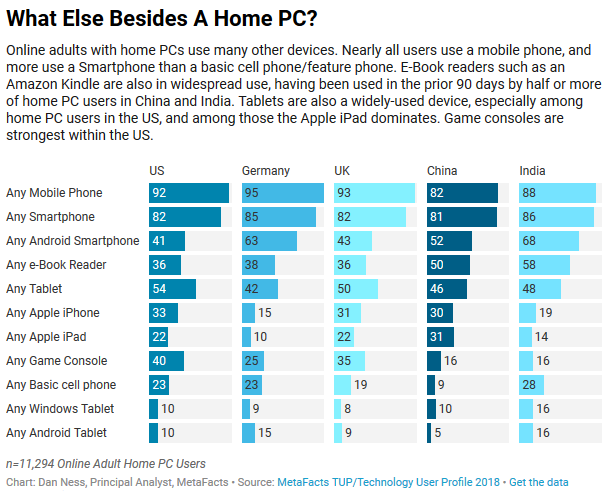 By contrast, in the UK and Germany, home PC users spend nearly the same amount of time with their home PCs as do users in the other countries surveyed. However, in these countries, users spend far fewer hours with their smartphones. 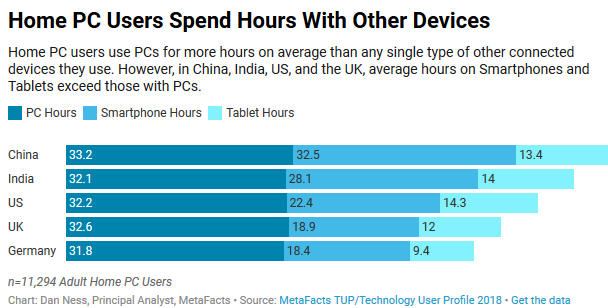 Across all countries surveyed, Tablets are a distant third place, being used for a third to a quarter as many hours as home PCs. I expect home PCs to continue as a solid staple among the majority of consumers. Although an increasing number of users are relying on their mobile phones for a growing range of regular activities, users prefer home PCs over smartphones or tablets for certain activities. Both thoughtful shopping and movie watching are helped with the clearer and larger images on bigger screens, such as those attached to traditional home desktops or integrated with all-in-one designs. The biggest threat to home PCs usage is user’s willingness to shift their activities from one device type or ecosystem to another. Users are showing their growing acceptance of and demand for cross-platform applications while still expressing their incessant demands for convenience and simplicity. As users continue to increase their literacy and comfort with multiple ecosystems, and developers continue to streamline the multi-device/multi-OS experience, users will continue to follow the enticing cookies of compatibility through the forest of interoperability and may yet give up on their home PCs. Meanwhile, user inertia and habit are the greatest friends of the home PC. So many of us have done it – started doing with our smartphone or tablet what we only formerly did with our PC. Are some activities so addictive or prevalent that people do them across their many devices? Based on our latest research, the answer is yes, and especially so for certain activities. 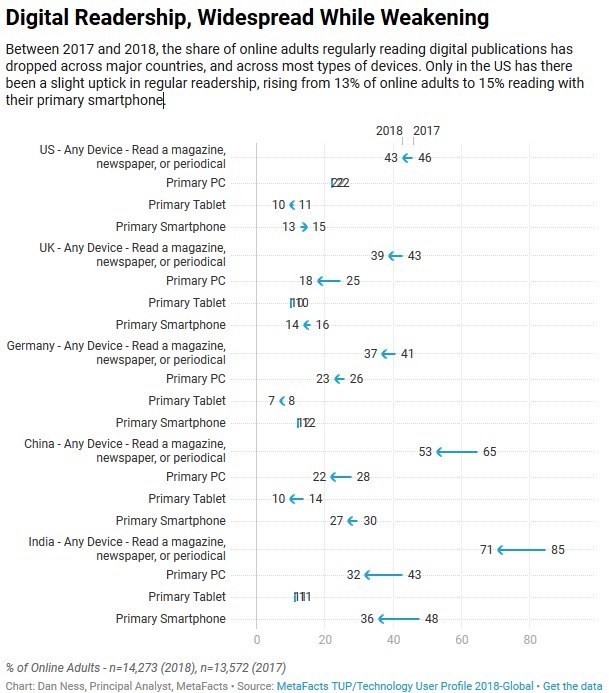 Nearly one-fourth (24%) of online adults around the world tap into their social networks on 4 connected devices, from among the many PCs, smartphones, and tablets they use. 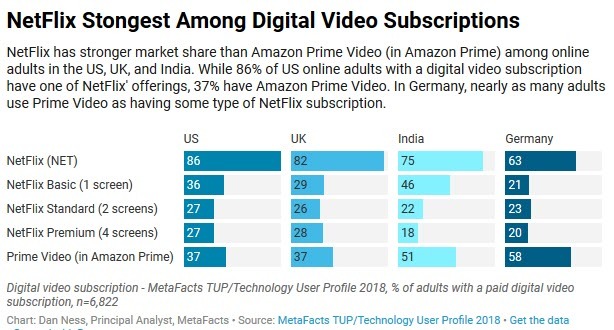 This is based on the TUP/Technology User Profile 2018-Global survey, spanning 14,273 online adults across the US, UK, Germany, China, and India. By contrast, certain activities are limited – being used more often on only one device. Making voice/video/web calls is mostly done on a single device, at 44% of online adults. 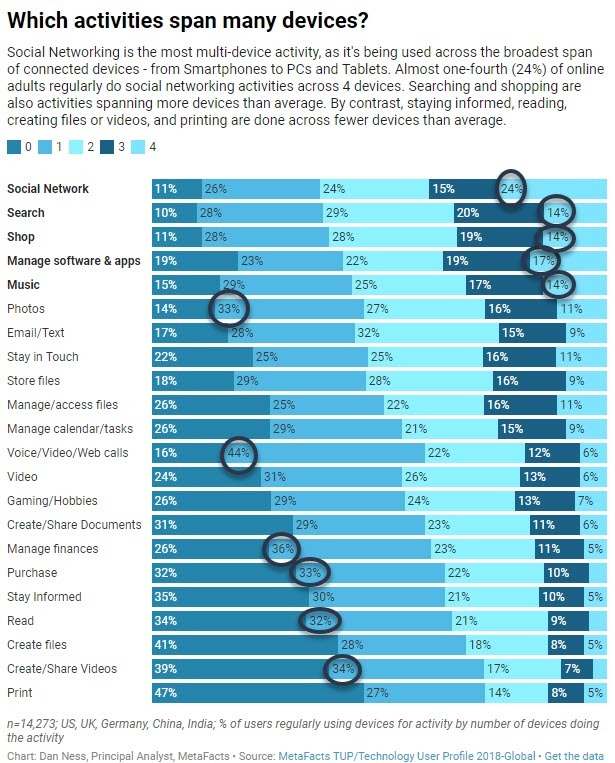 Around one in three online adults also primarily use one device for the following types of activities: managing finances, photos, create/share videos, purchases, and reading. What encourages or limits users to focus certain activities on fewer devices? Convenience and capability are key factors. Although desktop PCs can and do have webcams for video calls, they are less mobile and therefore less convenient than smartphones or tablets for unplanned calls or conferences. 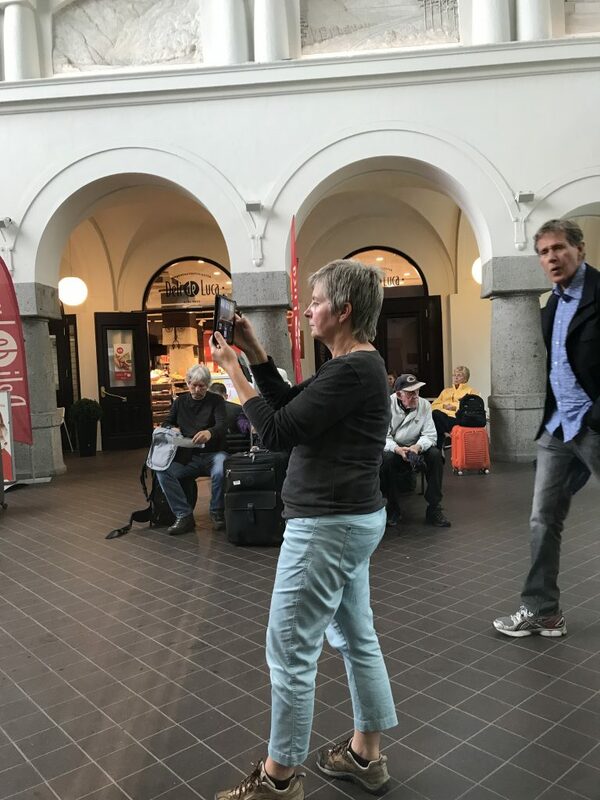 The same can be said for taking spontaneous photos or videos using cameras in ever-handy smartphones and tablets. Screen size and setting also have an impact. Comparison shopping benefits from the larger screens of PCs and tablets. Reading a book can be more enjoyable while sitting back with a tablet than sitting upright at a desktop PC. There is a perennial gap between what’s possible with a device and what people choose to do. For example, we still find few who regularly take photos with their tablets. In this specific case, social pressure has some impact as larger devices may block other’s views or at the least be less discreet. Platforms from Facebook to Amazon and Spotify do their best to be widely present and highly available. Native apps typically offer a more stable, richer, and device-appropriate experience, further encouraging users to use them across their multiple devices. Meanwhile, device-makers continue to expand the capabilities of their devices to better accommodate and anticipate user demand. Our research shows that as users gain experience with tech products, they broaden their activities and simultaneously expand their use across the devices they regularly use. I expect users to continue demanding to do whatever they want with whatever device they have.